The United Nations has put forth and many countries have adopted 17 audacious goals to be achieved by 2030 to end poverty and hunger, to improve health and well-being, and to create sustainable communities around the world. 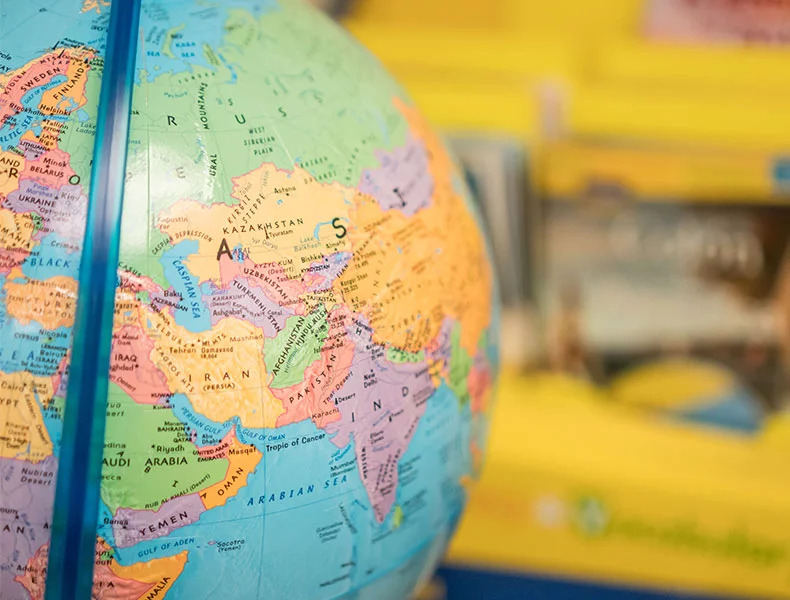 As global competency becomes an increasingly important skill for K-12 students, the Sustainable Development Goals (SDGs) provide a framework for learning about challenges faced by people around the world. 1. We must bring the world to the classroom. Technology, as we all know, is making the world more interconnected. Only about 30 percent of Americans have a passport, so bringing global experiences to the classroom is essential. With technology, global education can now be offered broadly to all students, not just the lucky few in private schools or those who experience college study abroad. This is not just theoretical – Participate partners with 140 public schools across the U.S. in all types of environments – rural, suburban, urban – to bring the world to all students, no matter where they live. The SDGs serve as a practical framework for building global connections and competencies. They are an extension of the Millennium Development Goals, focused on addressing extreme poverty in its many dimensions including income poverty, hunger, disease, lack of adequate shelter and exclusion. Concurrently, they promote gender equality, education and environmental sustainability. Being a part of the SDGs is a powerful opportunity for teachers and students to take part in this larger movement if they are unable to travel outside their schools or communities. 2. The SDGs provide a simple framework for teachers to try something new and collaborative. We want to make global education accessible, enticing and affordable to educators, schools and districts. When our instructional design team began to think about incorporating the SDGs into curriculum, they had to ask: How do we convince teachers that it’s worth the time, energy and risk to teach the SDGs? How do we support them once they’re in the classroom teaching these complex topics? We decided that free, short, professional development courses for educators around the SDGs would be a meaningful way to begin. Each course provides some information about a goal: why is it important, how it impacts different parts of the world; resources and sample lesson plans; and various ways to connect with others around these issues. Teachers can earn digital badges for teaching lessons or topics in their classes, documenting and reflecting on the experience, and submitting their evidence. 3. The most effective (global) learning takes place in communities. The most effective learning takes place within communities, and teachers learn a lot from other teachers. Luckily, a vibrant network of activists and educators committed to the Sustainable Development Goals already exists, so all we needed to do was to provide opportunities to teachers looking for connections. We thought Twitter chats would be a perfect way to connect educators, activists and innovators who are using social media to exchange ideas for addressing the SDGs. One story that stuck with us was a teacher participating in a chat who wanted to do a project with her students on World Water Day, but cited budget constraints. Other educators in the chat jumped in to encourage her with their stories of doing specific projects and activities that cost no money. This not only gave that teacher some concrete ideas for projects, it also helped her find her community – other teachers passionate about this kind of teaching and an extended network she can look to as a resource next time she wants to collaborate. The UN has delivered a gift to those of us involved in the work of global education, and the SDGs give organizations, governments, NGOs and others a shared purpose that will unify our efforts and multiply our impact to transform our world. Learn more about teaching the Sustainable Development Goals or register for a free course! David Young is CEO at Participate Learning. His goal is to give teachers the tools to help every K-12 student in America become an enthusiastic learner, compassionate friend, and concerned citizen.